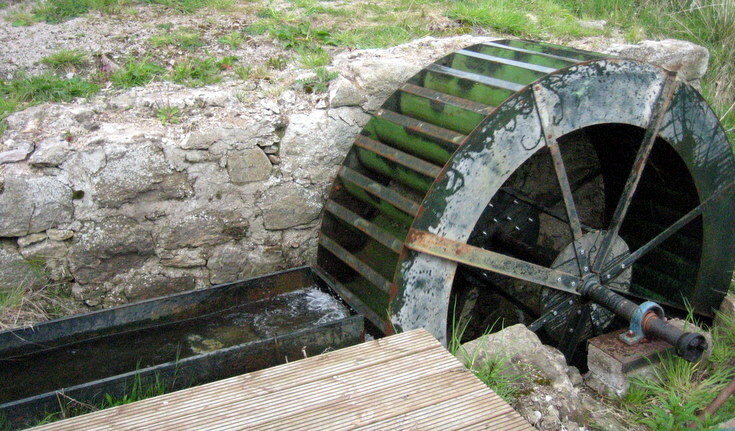 The water wheel, still working, on the site that was the Kemp Woollen mill at Craigievar. Can a current Kemp descendant advise what products were made at this mill from 1820's onwards? Also when did it cease & why? My family and myself believe that we may be descendants of this mill. One our family members has been researching our family history and it has led us to here. We do not know anything about the mill, but are coming to visit it next week. Would love to hear if you, William, have any more information on Kemp's in the area around that time. Hi Scott, I have the entire Kemp family tree starting with my great grandfather's mother's parents .Peter Kemp & Margaret Smith who resided at this site of the former Craigievar Woollen mill.The mill is not far from the Craigievar Castle and school. The current Rhodes family that live on the site are very friendly and the lady works at the Grampian transport Museum in Alford. Let me have your e mail address and grand parent details so I can find you in the family tree. I have a copy of our family tree and Peter Kemp and Margaret Smith are on it. If one of their children was named David Kemp then we may be related. My father is named James Kemp, his father was also James Kemp, his grand-father was William Kemp, his great-grand-father was David Kemp, who's father was Peter Kemp. My e-mail address is scottiekemp@hotmail.co.uk, it would be great to hear from you.